Founded in 1992, House of Blues currently operates in eleven cities throughout the United States and form the country’s pre-eminent group of intimate music venues. Each venue features state-of-the-art sound and lighting technology in one-of-a-kind custom designed environments aimed to bring fans as close as possible to the artists. Every location’s restaurant and bar is adorned with signature original folk-art – part of the world’s largest collection – combined with the House of Blues legendary hospitality and tantalizing cuisine. 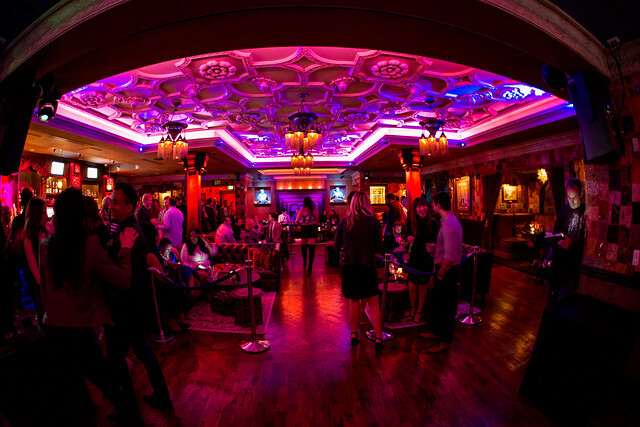 The crown jewel of any HOB location is their Foundation Room. Members receive access to pre-sale tickets at House of Blues and other Dallas music venues with premium seat locations. Priority entrance and personal concierge service are among some of the VIP membership amenities together with a robust loyalty program with rewards that include an artist meet and greet. Located within the historic White Swan Building, the Foundation Room in Dallas has recently been redesigned and poised as a public, upscale nightlife destination centrally located in the heart of Downtown Dallas. The refresh features exotic Moroccan-inspired décor, intuitive lighting and audio systems, an elevated nightlife atmosphere, newly added craft cocktails utilizing seasonal ingredients, a modernized lounge menu, and an outdoor space filled with plush seating overlooking the Dallas skyline. To learn more, visit http://www.houseofblues.com/dallas/fr.